Dominic became a Christian as a student in the early eighties. Over the following years, he became convinced of the need to hold firmly to the Bible as the basis for Christian belief and practice. Intrigued by the endless media assertions that “evolution is a fact” and that “the Bible is wrong”, he decided to investigate the scientific issues for himself. 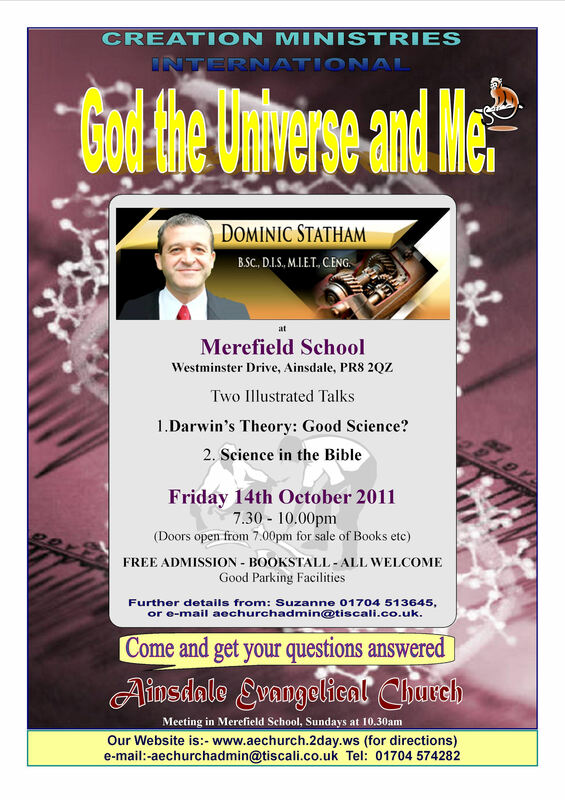 He was astonished by the weakness of the arguments presented by evolutionists, and is now keen to help others realise that there is really no conflict between science and Christianity, and that the Bible can be trusted from the very first verse.